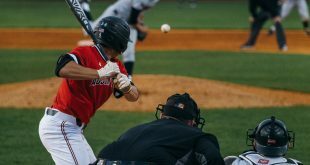 Over the last weekend in March, Govs baseball was able to sweep Ohio Valley Conference team Tennessee Tech University Golden Eagles with three wins at home. Game one (9-3) seemed to be kept under control by the Govs from the bottom of the first inning, where the Govs scored with five runs. Winning pitcher sophomore Alex Robles (1-2) had a no-hitter until he gave up a two-out double in the sixth inning. TTU scored three runs; however, this was not enough for the win. Robles also hit two for three on the day with one RBI. Another notable player for the Govs was sophomore Logan Gray, who hit three for three with three RBIs, three runs and a solo home run for himself over the center-field wall. 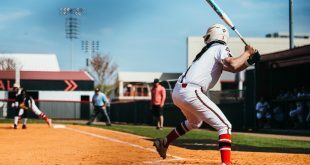 Saturday, March 28, the Govs maintained a lead throughout all nine innings, but in the top of the ninth, the Golden Eagles put three runs on the board to make it a one-run game. 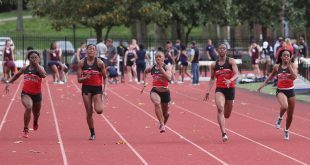 However, the Govs held them to just those three pulled away with a 9-8 win. The winning pitcher of this game was red-shirt senior A.J. Guara (1-0). Freshman John Sparks came into the ninth after red-shirt sophomore Hunter Lindley walked his only two batters. 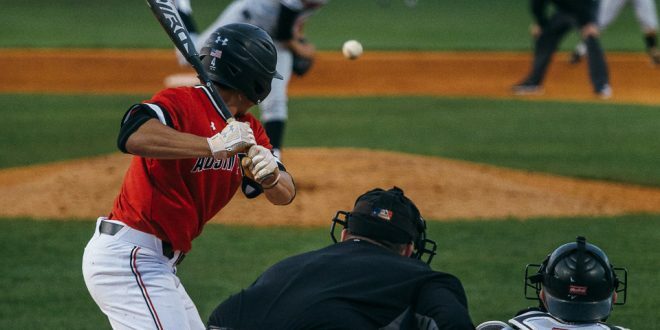 Sparks retired his first two batters, however, the Golden Eagles rallied with a two-out, two-run double, adding three total runs to the board from the hit and an infield error. With the tying run on second, Sparks struck out the last batter looking. The Govs had 13 hits and three errors. The final game of the weekend seemed to be more of a home run derby matchup for both teams, that hit seven in total. The first inning, sophomore Cayce Bredlau had a solo home run. In the fifth inning, Ridge Smith hit home run number two for the day, while sophomore Chase Hamilton added three runs with a three-run home run putting the Govs up 10-5. Junior Patrick Massoni added to the list with a two-run home run in the seventh inning, putting the Govs up 12-7. The Golden Eagles rallied three more runs in the ninth inning, but came up short with a final score of 12-10. Sophomore Caleb Powell (4-0) was the winning pitcher of the game with a save by Guara. The Govs are now 14-10 overall, and 8-4 in the OVC. They rank fourth out of 11 teams. 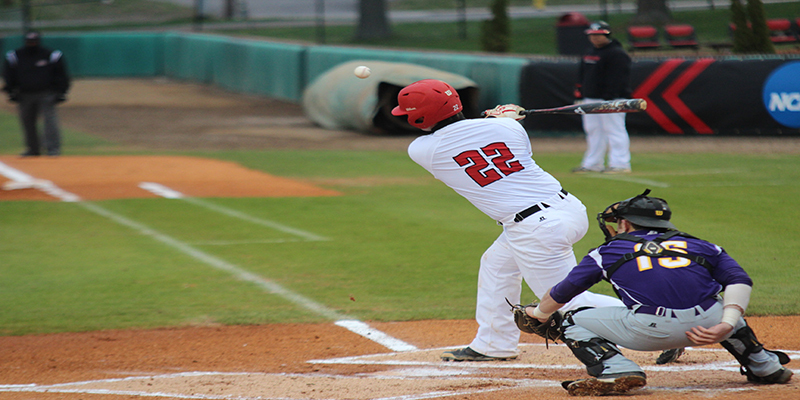 Thursday, April 2, through Saturday, April 4, the Govs will take on OVC baseball rival Southeast Missouri at SEMO’s home field, then return to Clarksville for a six-game home stand for the first part of April.